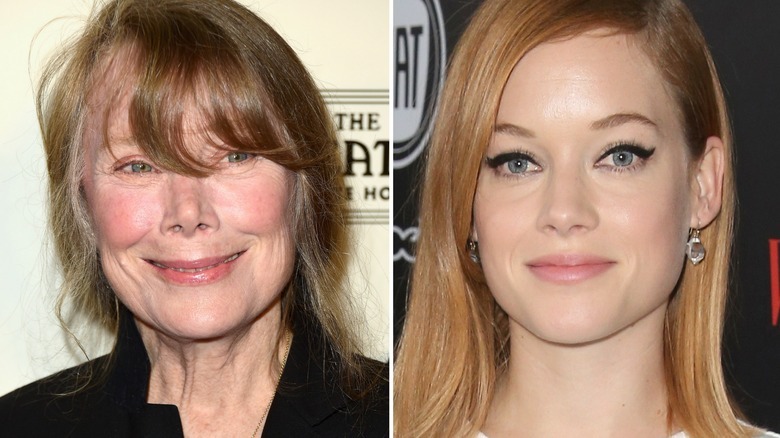 Sissy Spacek and Jane Levy have joined Andre Holland in J.J. Abrams' and Stephen King's Hulu series Castle Rock, according to The Hollywood Reporter. Spacek, who previously earned an Oscar nomination for playing the title role in King's 1976 film Carrie, will play Ruth Deaver, the estranged adopted mother of Holland's Henry, a death row attorney with a unique and complicated history. Ruth is a retired professor whose fading memories may hold the key to Castle Rock's unsettling past. Levy, best known for Suburgatory, will play Jackie, the death-obsessed self-appointed historian of Castle Rock. Sam Shaw and Dustin Thomason (Manhattan) will write and executive produce Castle Rock. Abrams will also executive produce, as will Bad Robot's Ben Stephenson (Glare) and Liz Glotzer (The Shawshank Redemption). Abrams executive produced Hulu's 11.22.63 adaptation, based on King's novel of the same name, which premiered on the streaming service in February of 2016.